Shop for a cause on Tuesday, January 24th! 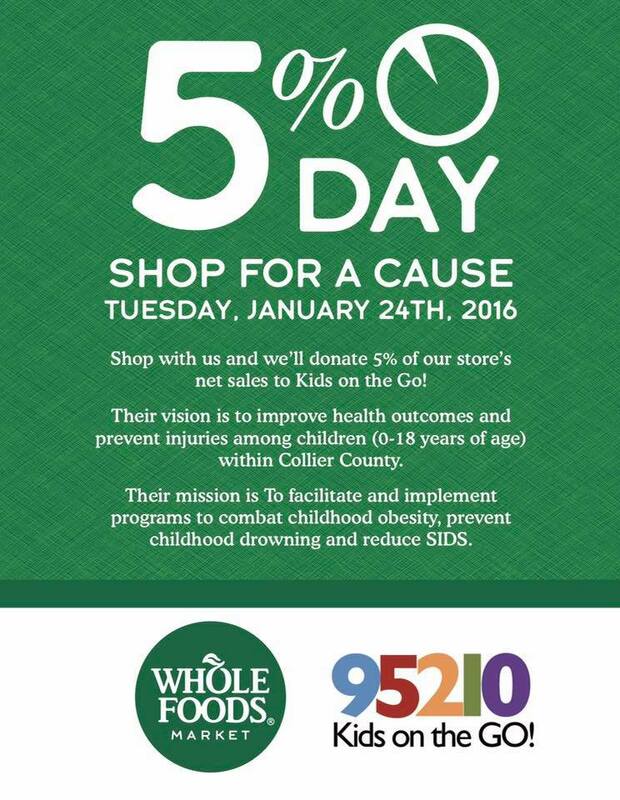 Whole Foods Market (9101 Strada Pl, Naples, FL 34108) will be donating 5% of the day’s net sales to support our 95210 #KidsontheGO program. Thank you Whole Foods for your continued support and help to get our Collier students out and moving!